Create customizable assessments with built in smartness to meet state specific regulations. Drive individualized service plans directly from input entered on the assessment. Generate employee specific task sheets based on input from residents' individualized care plans. Consistent Care with No Data Tracking Hassles. Service creep happens to even the best organizations. Residents start needing additional care that falls outside their service plan — and outside your profit margins. That’s why we created the Vitals Resident Care solution. It’s a comprehensive and fully customizable assessment that takes the full cycle of a resident’s needs, defines the service plan, then assigns it seamlessly to specific caregiver task sheets. 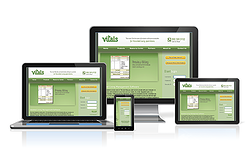 The Vitals Resident Care solution is part of the complete Vitals Software Suite. Like our other senior living solutions, it saves you time by connecting resident assessments to care plans and task assignments. Unlike other methods, there’s no need to waste valuable caregiver time by re-entering data separate from the assessment, care plan or caregiver task sheets. The completed assessments drive the care plan and task sheets. And if there’s a variance, your caregivers can document it for automatic flow to billing. Our product helps you deliver a consistent product to the seniors you serve and taps into workflow profit potential by standardizing and simplifying processes. Track residents’ chronic conditions, medications, insurance information, physicians and other preferred health care providers such as pharmacies, hospitals, home health care, etc. Study after study shows that tracking care has a negative impact on your bottom line because of the time involved tracking instead of providing actual care. The Vitals Resident Care solution adds value by allowing nurses to provide care rather than spending time documenting every single task they perform. Where would you rather they spend their time? And more importantly, it allows providers to update an individual care plan to account for additional expenses and revenue as care needs increase. Like other Vitals Assisted Living Software solutions, Resident Care helps you optimize your business as you maximize your bottom line. Ask for a demo today and see what a difference Vitals can mean to your productivity and profitability. 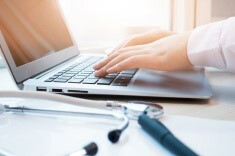 Having a streamlined assessment process that drives resident care plans and caregiver task sheets from a single point of data entry has improved workflow efficiencies tremendously.